Many fear the Taliban could regain full control over Afghanistan after the 2014 drawdown of NATO troops. But South Asia expert Michael Kugelman says it's 'unfathomable' the militants could overthrow the Kabul government. NATO troops have been in Afghanistan since the US-led invasion of the country in 2001, which toppled the Taliban regime. But as the international combat forces prepare to leave the country by the end of next year, the security situation in the war-ravaged country remains volatile. According to a UN report, the civilian casualty toll in the first six months of 2013 jumped by 23 percent, compared to the same period last year. These figures have led many to believe the Taliban extremists are preparing to launch a major offensive to retake power as soon as NATO forces pull out of the South Asian nation. But in a DW interview, political analyst Michael Kugelman says Afghan security forces have improved to such a degree that a takeover of power by the insurgents would seem very unlikely. DW: How successful has the ISAF mission been? Michael Kugelman: It depends on who you ask. ISAF commanders and others in Afghanistan point to shining success stories of recent years: Girls are back in school, roads are being built, and democracy is advancing slowly but surely. Those in Washington and other places further from the action take a broader, more cynical view, stating that there have been successes, but overall Afghanistan remains a mess. The Taliban continue to wreak havoc, the economy continues to struggle, and the government often appears paralyzed by corruption and incompetence. Ultimately, the mission has been successful because its core objectives have been accomplished: The Taliban have been removed from power, and Afghanistan is no longer a sanctuary for the al Qaeda network. Yet the biggest measure of success will be if these gains are sustained in the coming years after international forces have withdrawn. In light of a sharp rise in the number of civilians and security forces killed over the past few months, how ready are the Afghan police and military to provide security? Afghanistan has made major strides in recent years, with the military in particular benefiting from international assistance and training. However, the military remains afflicted by drug abuse, illiteracy and desertion. These are major challenges for any military, including those operating in stable security environments. Yet Afghanistan's armed forces preside over one of the world's most volatile security environments, and continue to suffer from combat-related incapacities. This is all one big recipe for disaster, no matter how much Afghanistan and its allies around the world try to sugarcoat the issue. How would the US administration react if the upcoming elections on April 5 were to be postponed? The US and most other countries would be highly displeased by a delayed vote. If President Hamid Karzai were regarded as a credible and trusted partner, Washington and other capitals may be more sympathetic to the argument of "continuity amid change" being made by some Afghan officials. But most key international stakeholders likely look forward to the day that Karzai steps down. Karzai is widely seen as a national leader in name only, someone who no longer enjoys the legitimacy and respect to see his nation through a major transition as international troops withdraw. The world is keen for new partners in Afghanistan. Delaying the election would make this a more remote possibility, and would also deal a blow to the South Asian nation's fragile democracy. How is the situation in Afghanistan likely to develop after the scheduled NATO withdrawal in 2014? It all depends on two factors: Pakistan-based militant sanctuaries and the effectiveness of Afghanistan's government. On the one hand, as long as the Afghan Taliban, Haqqani network, and other anti-Kabul extremists continue to enjoy safe havens in Pakistan, it will be difficult to end the insurgency in Afghanistan. US drone strikes - which target militants in these Pakistani areas - will likely diminish after 2014, removing one of the few effective means of tackling this Pakistan-based threat to Afghanistan. On the other hand, while many Afghans despise the Taliban and would prefer any alternative to the Taliban, there are Afghans who believe that Kabul is too corrupt, weak, and incompetent to be a government worth supporting. Until the Afghan government convinces these Afghans that it is a better alternative to the Taliban, the insurgency will remain strong. This underscores the crucial nature of next year's election. How big is the possibility of the Taliban retaking power in Kabul after a NATO withdrawal and what role could Pakistan play here? Many of the nightmare scenarios of post-2014 could well come true such as a rapidly deteriorating security situation in Afghanistan spilling into Pakistan and further destabilizing that country. 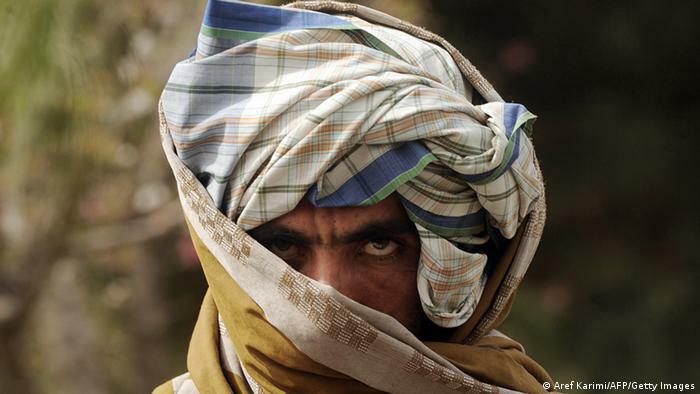 However, I think the Taliban are unlikely to retake power in Afghanistan. The country's security forces have improved to a level that it would seem unfathomable that the Taliban could muster the resources and capacity to overthrow the government. A more realistic concern is that future political negotiations to end the war will give the Taliban some sort of role in a future Afghan government and that the Taliban will use that perch to bring back, in limited form, some of the draconian policies used when in power in the 1990s. Another, more operational, concern is that the Taliban will effectively take over certain swaths of territory in the south and east and exert de facto control. This, again, is much more likely than an outright takeover of government. How will the NATO withdrawal affect South Asia? It will affect the region on all fronts. It will raise the stakes for better regional cooperation in a region that is not known for cooperating at all. Afghanistan is a country in which many different nations in the broader region have interests - from India and Pakistan to China, Iran, and Russia. In many cases, these interests do not converge. When the foreign troops have left, these neighboring nations, along with Afghanistan, will have an opportunity to craft a long-term regional cooperation strategy. Concessions and compromises will be necessary, but if done right, a breakthrough is possible. The alternative is that these countries will fail to agree, and instead continue to compete for influence in Afghanistan in ways that further destabilize what will be an incredibly volatile country. How would a potential political resurgence of the Taliban affect India's relations to Pakistan? It would certainly imperil a relationship that has showed so much potential for improvement in recent years. A resurgent Taliban, which is viciously anti-Indian, would pose an immediate threat to New Delhi. It would also embolden anti-Indian militants based in Pakistan, such as the Lashkar-e-Taiba. Some of these Pakistan-based groups have operated in Afghanistan in recent years. With no more international troops in Afghanistan, these extremists could all turn their attention to India and there's little reason to think that Pakistan would have the will or capacity to rein them in. Anti-India militants, after all, have been regarded as "strategic assets" by the Pakistani security establishment for decades. Until Pakistan finally decides that it's time to reconcile with India, such a long-ingrained policy will likely remain in place. Michael Kugelman is senior program associate for South and Southeast Asia at the Woodrow Wilson Center. His most recent work has focused on Pakistan's 2013 elections, Indian-Pakistani relations, US-Pakistani relations, and security challenges in India.